Digital disruption is the new norm, and the healthcare industry isn’t untouched by the same. From early detection of diseases to remote monitoring of patients, new age technologies like Artificial Intelligence and with Internet of Things (IoT) are transforming the healthcare sector and making it more efficient. 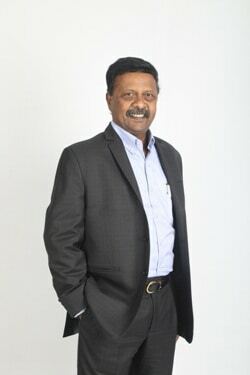 In an interview with DataQuest, John Samuel, Managing Director and Lead – Health & Public Service, Accenture in India, talks about reinventing healthcare with digitization. Q. How has digitization impacted the healthcare industry? A. Similar to other industries, digital technologies are disrupting the healthcare industry. Advanced digital technologies play a crucial role in improving healthcare access, outcomes and driving the optimal use of limited resources. Digitization is fundamentally changing the way healthcare is delivered and the overall health consumer experience. The expectations of healthcare consumers have also evolved, and they are demanding greater convenience, affordability and quality. According to a recent global Accenture survey, younger consumers in particular including millennials and Gen Z are not satisfied with healthcare’s status quo, and consumers of all generations are more willing to try non-traditional services. The Indian healthcare industry is demonstrating a similar trend. Non-traditional healthcare, such as virtual care and retail walk-in clinics, are gaining in popularity, and so is the use of digital technologies in improving healthcare delivery. Q. Is the power of digital being utilized to its full potential in healthcare? A. Globally, healthcare organizations are using the intelligent technologies such as Artificial Intelligence (AI), Machine Learning (ML), Internet of Things (IoT), analytics to deliver personalized, efficient and informed care. In India, we are witnessing increasing investments in digital health initiatives by both government-owned and private healthcare organisations. 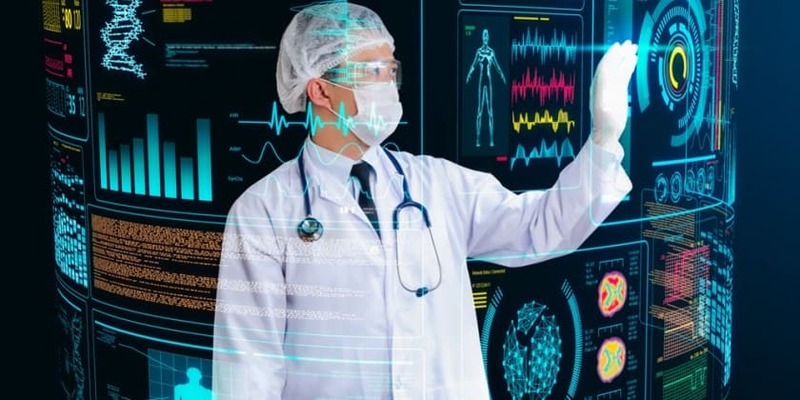 India’s healthcare providers have embraced artificial intelligence, recognizing its significant value in better diagnostics with data intelligence and in improving patient experience with AI-powered solutions. For example, Accenture, has developed an AI-powered smartphone solution to help the visually impaired improve the way they experience the world around them and enhance their productivity in the workplace. The solution, called Drishti, was initially developed and tested through a collaboration with the National Association for the Blind in India. Q. What are the possible ways in which technology can truly benefit the healthcare sector? A. Advanced technologies can help address various challenges and create new opportunities for the healthcare sector. Technology is transforming the healthcare sector in three areas —remote patient monitoring (RPM), wellness and prevention, and operations. Healthcare organisations are seeing the value from digitization programs in the areas of operational cost savings, improvements in consumer experience, and revenue growth through consumer attraction or retention. AI can use algorithms to diagnose patient wounds via smartphone, allowing caretakers and doctors to remotely monitor the elderly so that they may safely live independently. AI can help health systems to digitally verify a patient’s insurance information. For healthcare to realize AI’s full potential, each organization must be transparent about its motives for using data, as well as consistent with the motives of consumers. That means understanding what the consumer believes the business has the right to do with their information. Extended Reality (XR) which comprises virtual and augmented reality technologies, blurs the lines across physical and simulated worlds. XR technology makes immersive experiences commonplace. For example, an elderly patient in a rural setting can consult with a world-class doctor without ever leaving his or her own home. A nurse can use a vein finder to insert an IV on the first try. Healthcare is more data-driven than ever. Autonomous, data-driven decision-making is increasing as the industry uses more AI for administrative and clinical functions. However, AI is only as good as the data used to train it. Without establishing the veracity, or accuracy, of data, organizations leave themselves vulnerable. Healthcare organizations aiming to achieve data veracity must ramp up existing efforts, embedding and enforcing data provenance, context, integrity and security throughout the organization. Existing investments in cybersecurity and data science may need to be adapted to address the data veracity issue because data quality is critical to having inputs users can trust to make both business and clinical decisions. For instance, technologies such as blockchain can be used to ensure data provenance throughout its lifecycle and prove the data was not tampered with. From ICU hospital rooms that automatically manage patient fluids, to self-maintaining equipment, more healthcare organizations are developing intelligent environments that include a mix of robotics, extended reality, artificial intelligence and connected devices. To deliver intelligence everywhere, healthcare organizations must be able to analyze and act on data where it is generated. Q. What is the role played by IoT in healthcare? And what is the reality of the use of the technology when it comes to the Indian Healthcare market? A. At Accenture, we call it the Internet of Health Things (IoHT) which is the integration of the physical and digital worlds through objects with network connectivity in the healthcare industry. IoHT transforms raw data into simple, actionable information and communicates with other objects, machines or people. IoHT can be leveraged to improve access to health, quality of care, consumer experience, and operational efficiency. By introducing more connectivity, remote monitoring and information gathering, IoHT can encourage better use of healthcare resources, more informed decisions, a reduction in inefficiencies or waste and the empowerment of health consumers. According to Accenture estimates, the value of IoHT will top US$163 billion by 2020. Within the next few years, the healthcare sector is projected to be #1 in the top 10 industries for Internet of Things app development. Accenture research shows healthcare executives are all too aware of the changes IoHT is bringing to their industry. Yet, they also acknowledge that their leaders do not yet fully understand IoHT’s potential. In India, we are witnessing growing adoption of IoT and other digital technologies. According to the IoT India Congress 2018, the Indian IoT market is expected to grow from $1.3 billion in 2016 to $9 billion by 2020 across sectors such as telecom, health, vehicles and homes, among others. Reinventing Healthcare with Internet of Things (IoT): John Samuel, Accenture 0 out of 5 based on 0 ratings. 0 user reviews.